Magneto is an open-source E commerce platform which offers online merchants with flexible shopping cart system and full control over the content, content and functionality which makes their E-commerce solution more attractive and controllable. It offers exceptional marketing, search engine optimization and catalog-management tools. Magneto is one of the leading ecommerce platform available to all type of ecommerce store. It can be easily expandable from a small ecommerce store into large enterprise version. A non-technical person can use this tool as an application. It is a robust system with easy o set-up, plug-ins & themes. Magneto is flexible and measurable open source e-commerce platform for accurate and cost-effective solutions. Uniweb IT Solutions offers complete set of Magneto development and ecommerce strategy that suits for your business need. Our team excels in providing a solution with robust, flexible & content management through Magento Commerce along with performance optimization and implementation. 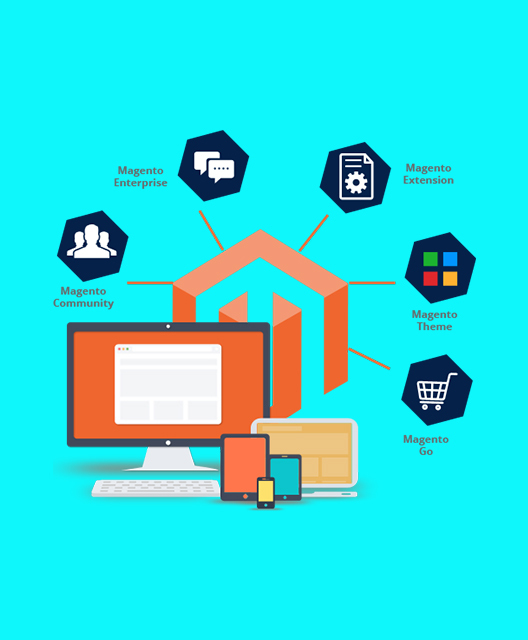 We can provide migration of existing ecommerce store to Magneto or upgrading the magneto version.